Julian Bowen - furniture for every room in your home. Julian Bowen Ltd was founded in 1987 and since then the business has grown dramatically. It now operates from an impressive 150,000 sq ft facility in Kirkby in Ashfield in Nottinghamshire. There they have an extensive showroom, head office and distribution centre. Now one of the UK's largest furniture importers Julian Bowen Ltd has never lost sight of its core principles, namely to provide the furniture industry’s leading customer service proposition accompanied by outstanding quality, value for money and a commitment to innovation. We are pleased to be able to offer all the Julian Bowen ranges of furniture. Not just the beds and mattresses. 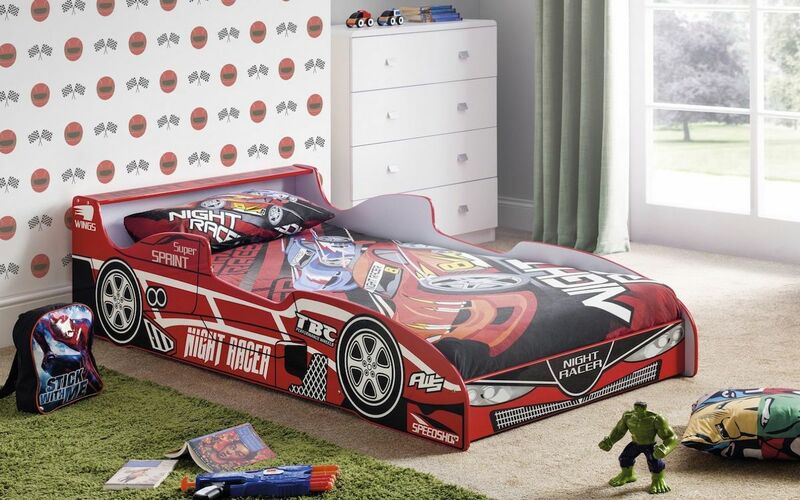 We offer a variety novelty beds to make a 'little ones' bedtime a little more fun. The range includes, racing cars, bus, fire engine and train. 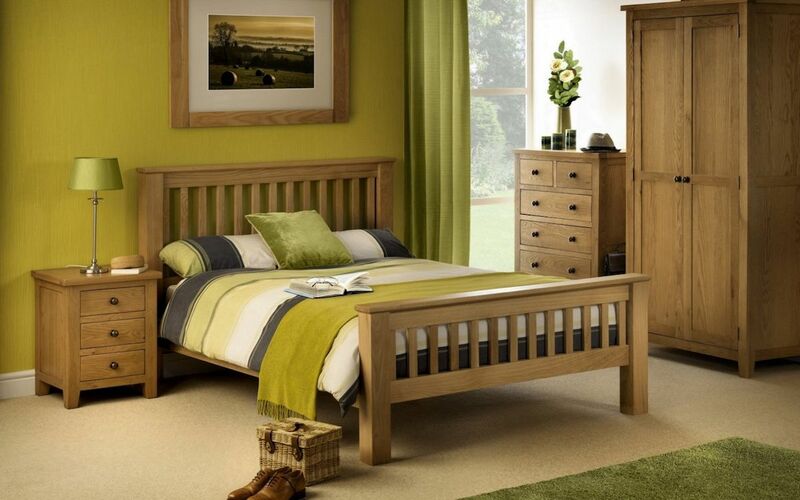 Julian Bowen has a great choice of different styles and finishes of bedroom furniture, including matching beds. Particular favourites are the Marlborough oak range (shown left) and the Kendal range. The choice of dining furniture include solid wood ranges such as the Coxmoor Oak and the Astoria. 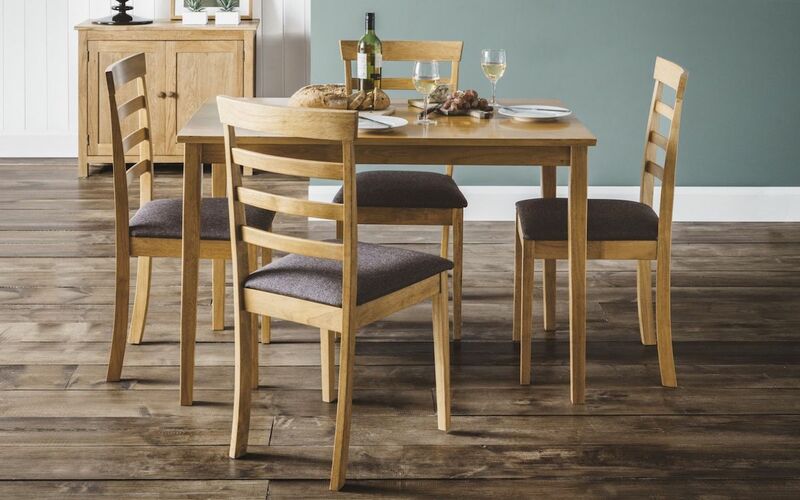 The Cleo (shown right) is a range of dining and occasional items made from Malaysian hardwood with a natural oak finish - great value for money. 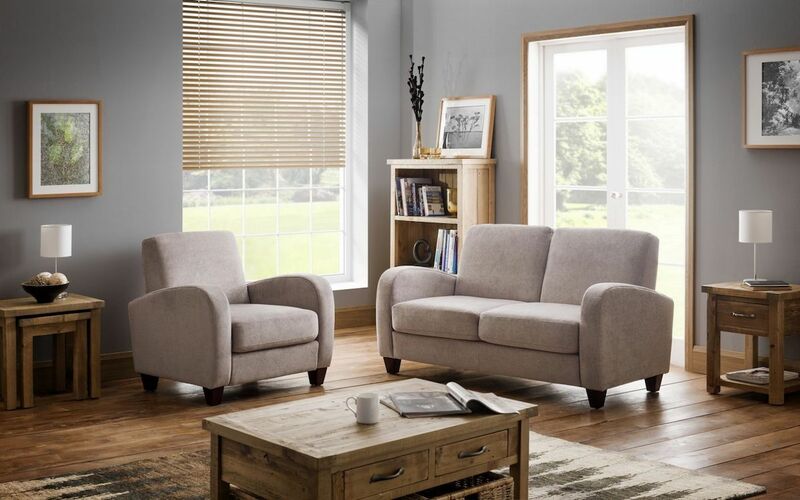 The Julian Bowen Vivo Sofa is a luxurious and delightfully comfortable sofa collection, featuring retro styled arms and upholstered in a soft touch Chestnut Brown faux leather or a lush Mink coloured Chenille fabric. Available as single, 2-seater, 3-seater and sofa bed.